Way back before you couldn’t swing a dead cat without hitting a hipster food truck, those of us who worked in the mecca of commerce that is Jamboree and Main in Irvine relied on the easy to walk to food courts – often hidden in some unassuming strip mall, but always home to at least one undiscovered gem of a eatery. As it happens, a large portion of my adulthood has revolved around this intersection, and my favorite go to spot here is a little out of the way food court on Main between Jamboree and MacArthur. 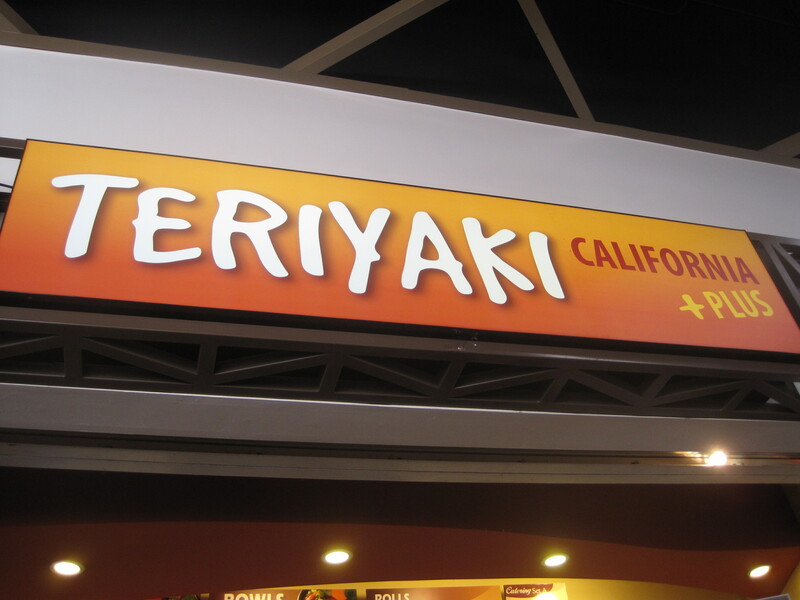 Within this food court, is a little place called Teriyaki California Plus. Now granted, at this point, I could just drive another 5 to 10 minutes and hit Mitsuwa or Diamond Jamboree for tasty Japanese treats. But that’s a little too much freeway for a lunch break for me. And finding parking at DJ during lunch? Yeah, that’ll happen.) Also, the prices at TCP are pretty hard to beat and the variety is actually very surprising for someplace that could fit in a mall food court. You’ve got rice bowls with a variety of meats (including salmon – my favorite), bento boxes, and ramen, all with little chance of dropping more than a ten spot on lunch. I cannot speak for the ramen or the sushi, but the teriyaki here is well done. 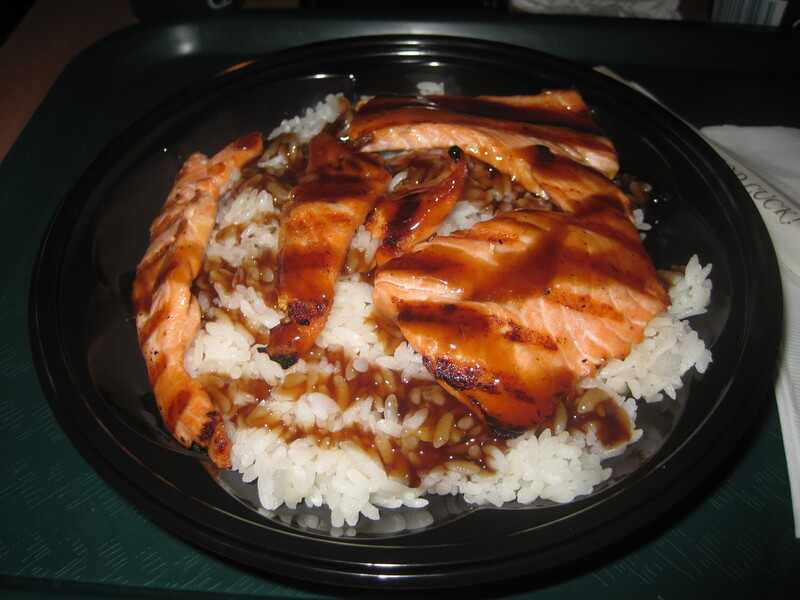 I’ve had both the chicken and salmon and both were well prepared – not overcooked, but with a bit of char that says “this was not warmed up in a microwave”. I appreciate that. Also the portions are sizable for the price. This is the sort of lunch that will see you through the afternoon doldrums without looking for the candy bowl. Which is more than I can say for driving through the Burger King down the street. 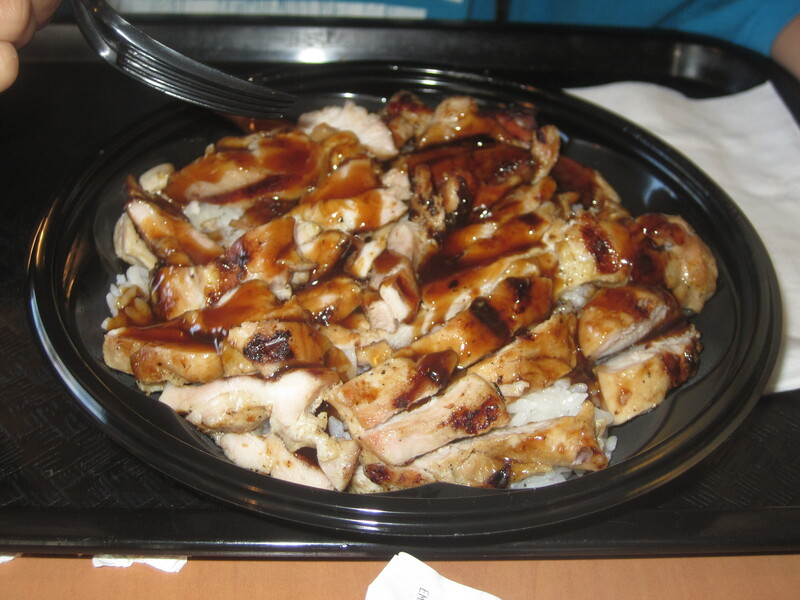 Chicken Bowl - note it takes up most of the tray, which is pretty standard "food court" size.